Lang Son (VNA) – A forum promoting trade in Vietnamese and Chinese vegetables and fruits took place in the northern border province of Lang Son on August 11. Speaking at the event, Vice Chairman of the provincial People’s Committee Ly Vinh Quang said Lang Son has an important geographical location in the Nanning – Lang Son – Hanoi – Hai Phong economic corridor, and has been a gateway for Vietnamese farm produce to access the Chinese market via Tan Thanh, Coc Nam and Huu Nghi border gates. In 2016, Lang Son’s border gates allowed the export of nearly 478,514 tonnes of dragon fruit; 223,455 tonnes of watermelon; 240,345 tonnes of longan fruit; 81,198 tonnes of litchi; 8,135 tonnes of rambutan; and 17,837 tonnes of dried cashew nuts to China. Over the past years, the province has opened additional auxiliary border gates such as Na Hinh, Co Sau, Binh Nghi, expanded roads leading to border gates, built infrastructure in border gates, and improved the capacity of goods transit and customs clearance. Quang took the occasion to commit all possible support to enterprises. Vice Mayor of Guangxi’s Chongzuo city said Chongzuo borders Lang Son province and shares similar customs and climate, adding that there remains room for bilateral cooperation in cultivation and farm produce processing. Each year, Vietnam exports 1,866,000 tonnes of farm produce worth 6.89 billion CNY to China via Chongzuo’s border gates. 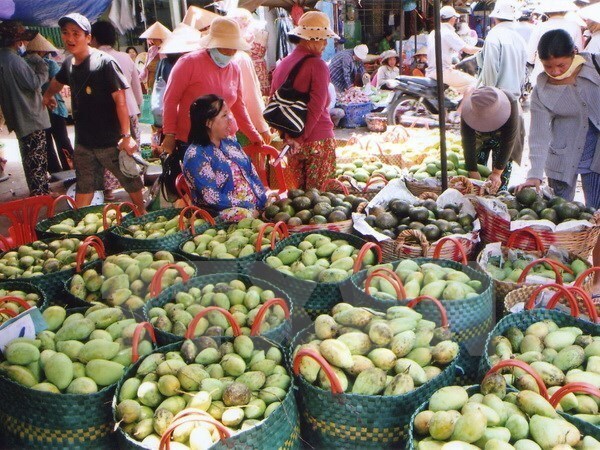 Vietnamese fruits such as litchi, mango and dragon fruits are popular in China. The Ministry of Industry and Trade’s Border and Mountainous Trade Department said farm produce, including fresh fruits are mostly exported to China via border gates, accounting for more than half of the total. Several commodities saw export growth such as rubber, cassava powder, fisheries, confectionary, coffee and tea.